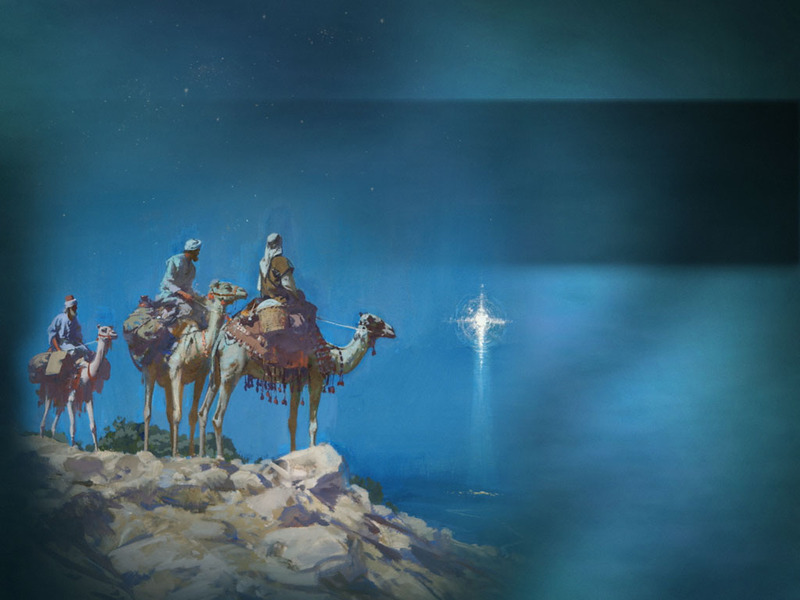 Wise men, astrologers, magi – all names for those men who went searching for a king with only a star to guide them and a prophesy to direct their way. It seems a strange quest, this following a star, this search for a newborn king. Yet, follow they do. These magi, search where the star will lead. The journey will cover a thousand miles with an uncertain destination. Yet they set out in a search not only for a king, a promised messiah, but a search for meaning and purpose. They will be surprised as they discover their destination is not a palace, but a humble home in Bethlehem. Arriving in Bethlehem, they lay their treasures down. Being warned in a dream – they return home in another way. There is a sense that all of us, having gone to Bethlehem and arrived at Christmas, dare not return by the route we have taken. Christmas ought to change us, ought to cause us to be like those who are wise and be different from whom we were before we met the Christ. The star continues to lead seekers to God’s truth, to kneel at Bethlehem’s child and leave as new people . . . People who have been set free from yesterday’s sins, failures, fears and doubts. Set free to live and love more graciously with a generosity of spirit and with hope in their hearts. Brian Wren’s Christmas Hymn shares the message of a changed life. living, working, in our world. God in Christ has come to stay. Prayer: God of the Christmas Star, guide each of us as we follow the stars you set in our skies. Lead us again to the Christ, give us dreams to follow and the courage to follow them. Lift our spirits and our eyes to see more clearly your vision for us. Help us to trust you to take us where you want us to be. May our lives be a blessing. In the name of the Christ Child we pray. Amen. Additional Advent & Christmastide Devotions can be found by clicking here – Advent and Christmastide Devotions. This entry was posted in Christmas & Epiphany, Christmastide, God's guidance and tagged "And being warned in a dream not to return to Herod they departed to their own country by another way.”, Epiphany, Follow dreams, Hope, Magi, Matthew 2:1-12, wise men. Bookmark the permalink.